Black Pavane | Zonyxa. Unique and contemporary jewellery for Work. Love. Play. 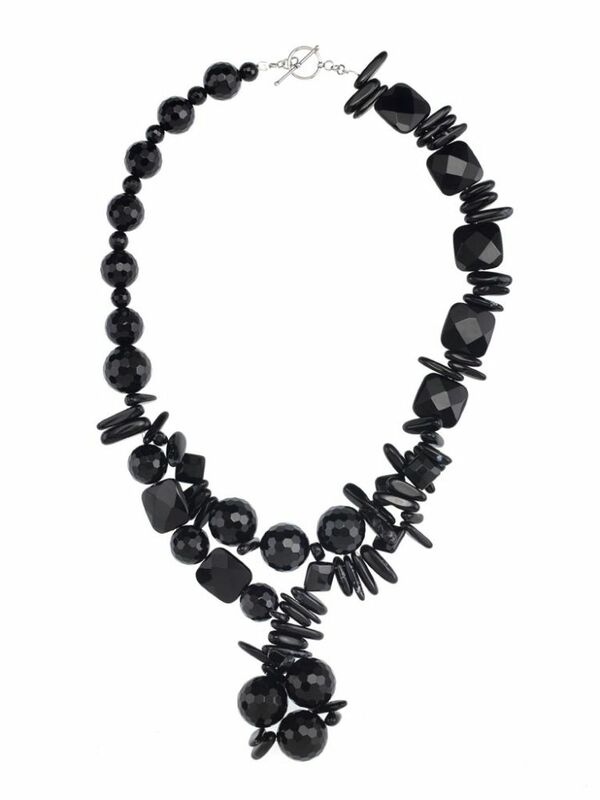 This dramatic statement necklace is crafted from rounded and squared onyx and chips of black agate, finished with an elegant pendant fashioned from three faceted balls of onyx. Stunning against a white, yellow or red cocktail dress. Materials: Onyx and black agate necklace.